One of the things I love most about Polkadoodles’ artwork is the little toadstool embellishments that are found in almost every kit. So, I just had to include them in this card. This card took a lot of fussy cutting, which I normally avoid(!) but , it was worth it . Apologies for the terrible pun! I have stuck with the Christmas theme for today’s post. 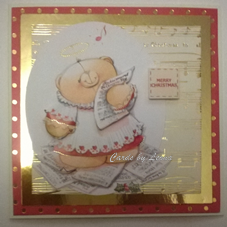 This is a card made with Kanban backing papers and some vintage decoupage with a Docrafts Forever Friends Chorister bear. I have used the image Holiday cottage scene. The image was coloured with Promarkers and I printed the sentiment from my computer. I used papers from Woodware that were free with a magazine and finished with some gems from my bling box. 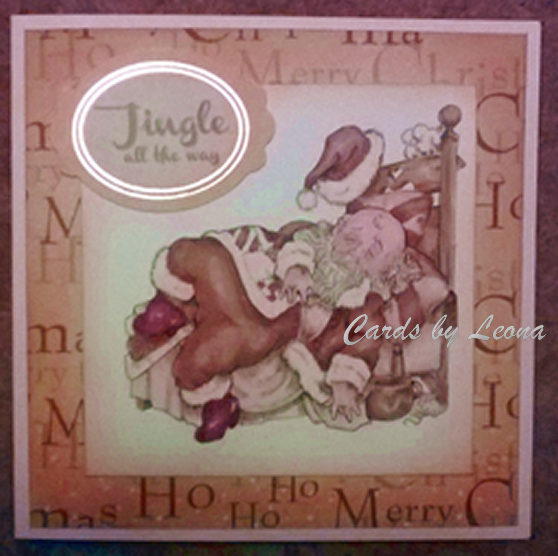 All the elements used to make up this card were edged using Ranger distress ink in Evergreen Bough. Now although my card is square(! 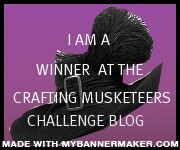 ), the challenge is actually to make a card that is not square, so go along to Creative Fingers to enter you project and see the other (not square) inspirational projects. 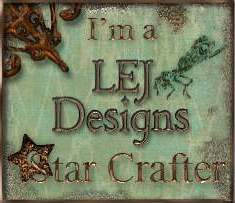 Hiding in my Craft Room – Any Holiday! For today’s card, I have combined a digi stamp from A Day For Daisies and a little paper piecing with some vintage Kanban cardstock. 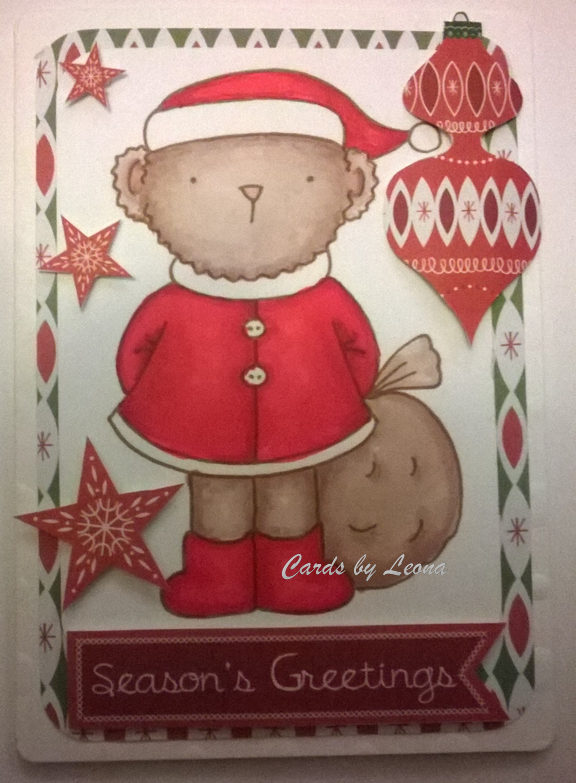 Today’s card is made using a fablous Rick St Dennis digi, which has been coloured in sepia tones using Promarkers. The background paper is vintage Kanban and the sentiment is Hunkydory. There’s more from Rick St. Dennis tomorrow so please popback for some more Christmas inspiration and the Creative Fingers challenge. 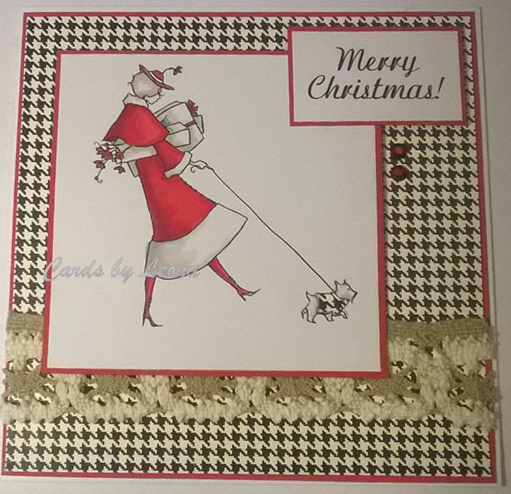 I have used a Heather Ellis digistamp for today’s card. 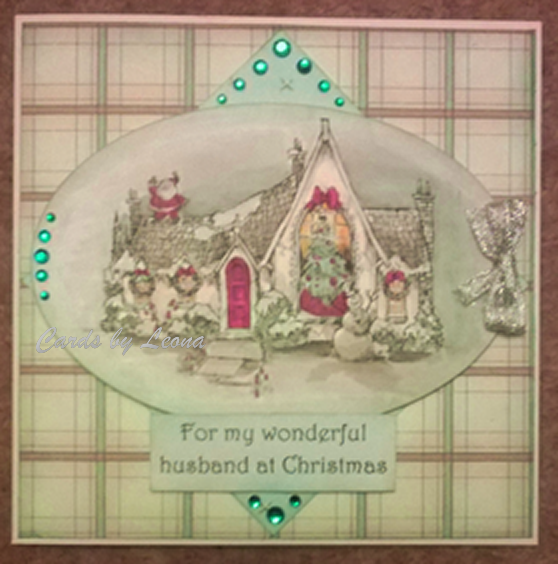 It came as part of a collection on a CD from Digital Cardmaking Magazine. The papers were also free with a magazine and some were cut down to make embellishments.